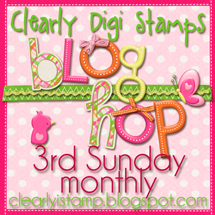 Clearly iStamp: We have a Winner for the Sunday Blog Hop! Here is our November Blog Hop Winner! Chosen from Dana's blog, Reliving Tomorrow, our November blog hop winner is Jessi Fogan and her blog, One Crafty Mama! Congratulations Jessi!! Please email Cassie (cassandratrask@yahoo.com) to claim your $25 gift card for digital images! Big Congrats to you Jessi.